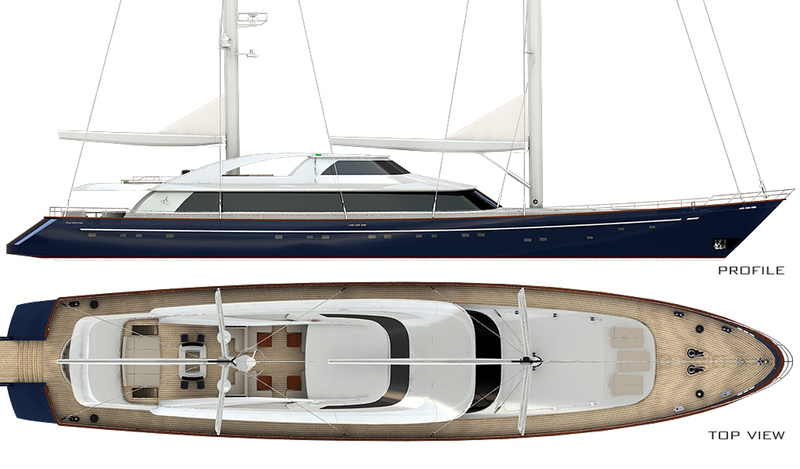 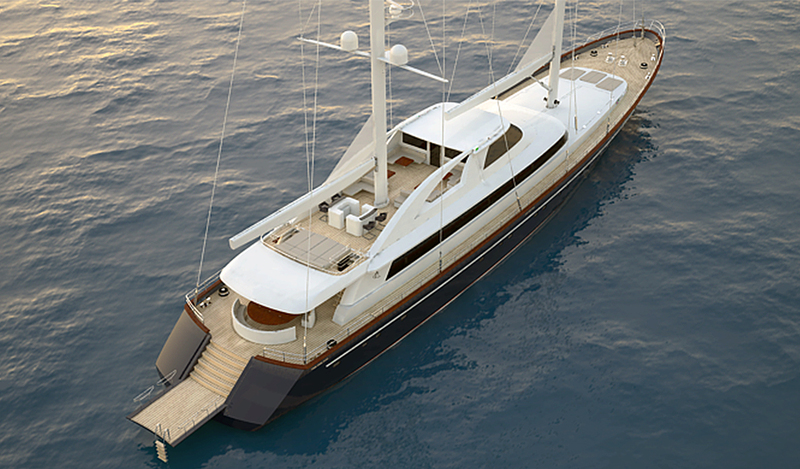 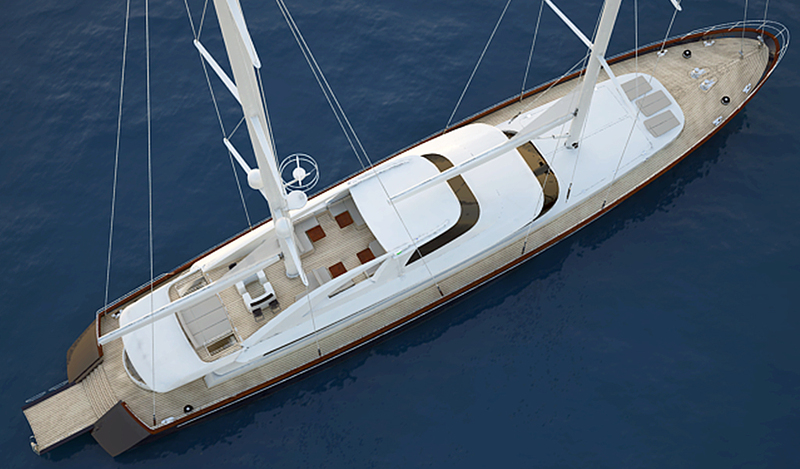 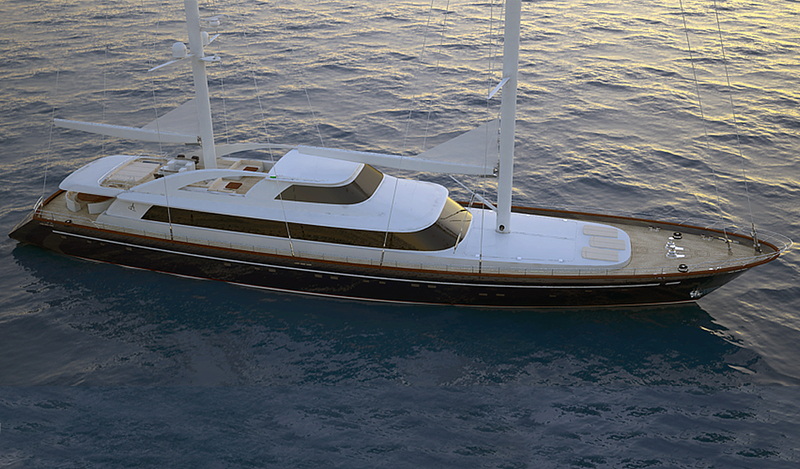 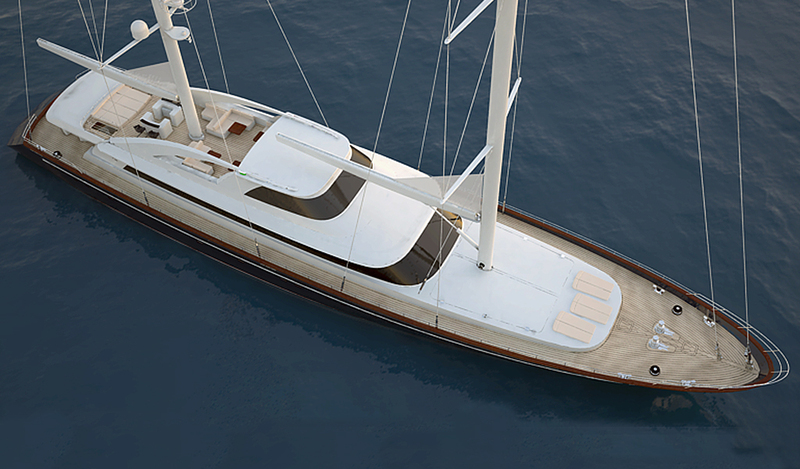 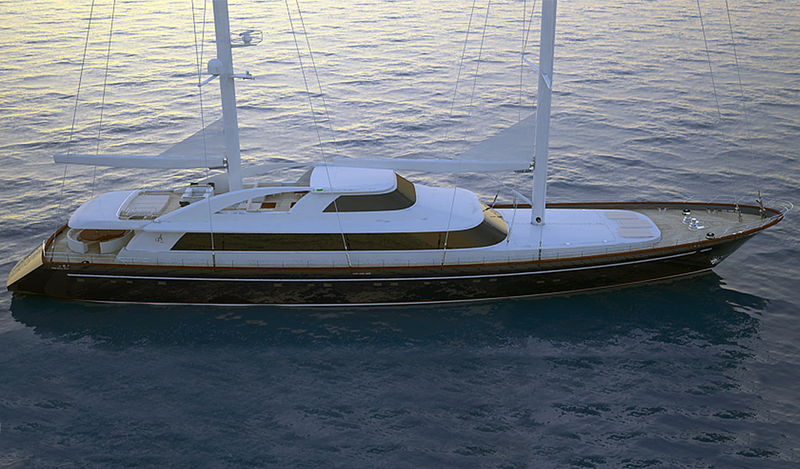 This 50m 2-masted sailing yacht concept is designed as a modern charter yacht with a great number of cabins. 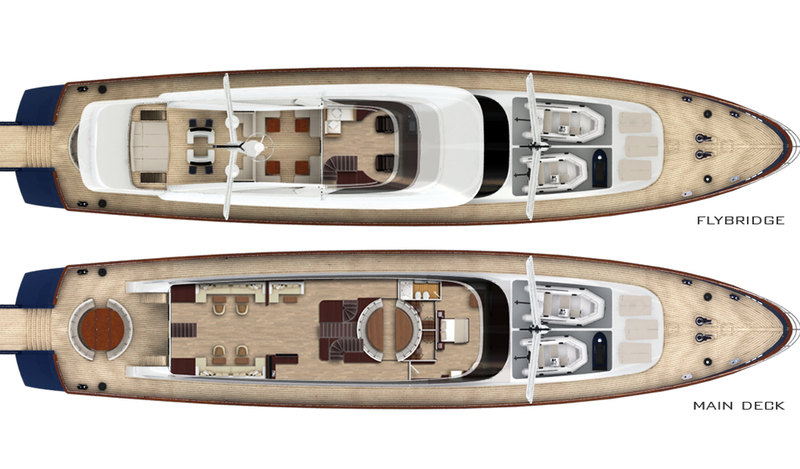 She also offers spacious exterior areas for dining and relaxing. 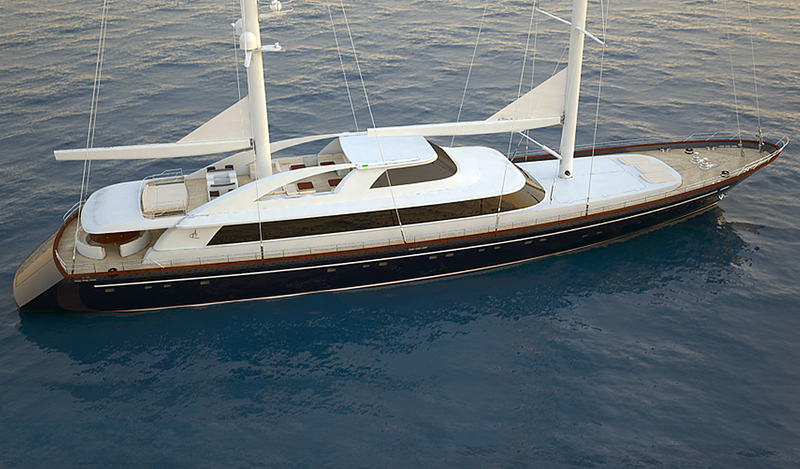 Her hull is curvaceous with a graceful sheer to the bow perfecting her look. 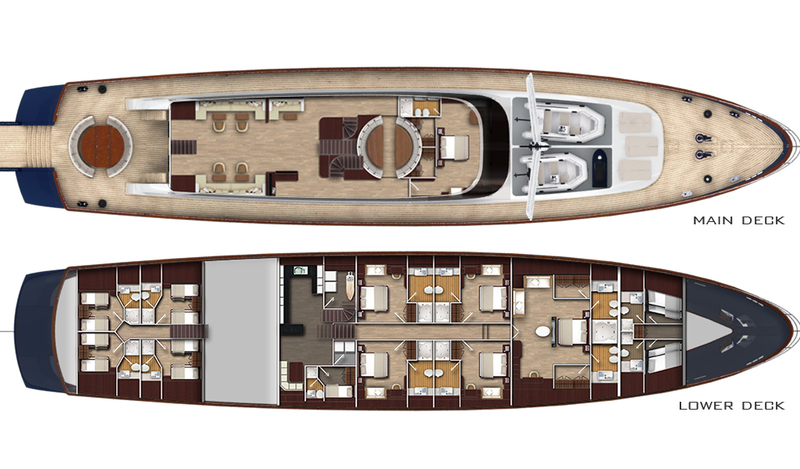 The preliminary layout of his elegant and sleek yacht allows for accommodation of 24 guests in 2 master suites and 8 guest cabins.